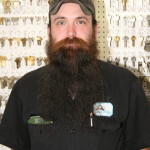 Chris was immersed in the locksmith business early in childhood and throughout adolescence. In young adulthood, he left to pursue a career in the military for 12 years with the Army, Army National Guard and Air National Guard. He is an Iraq War Veteran. While in the National Guard he continued to work at Able Locksmiths. Among his many duties, Chris spearheads Able’s community outreach effort by conducting various classes and seminars. He is also Able Locksmiths’ leading Safe Technician (a part of this is safe cracking). Chris is one of the employees expanding Able’s product line to include Condor outdoor gear, knives and camping equipment. 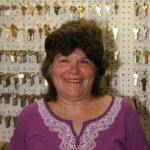 Shon is Able Locksmiths’ first employee and has been with the company for 25 years. He is experienced in managing large Master Key Systems in college campuses, hospital campuses, apartment buildings and businesses. He is proficient with Medeco, Best, and IC cores of all formats. 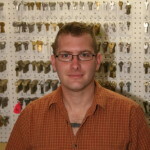 Shon is a knifemaker / bladesmith and is in charge of sharpening knives at Able Locksmiths. David began his career in the trade 8 years ago with Able Locksmiths after getting out of the Air Force, where he served in Security Forces from 2000-2006. 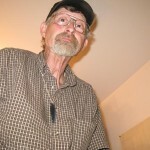 He enjoys working on mortise, rim cylinders and antique locks. 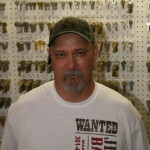 He is knowledgeable about car and motorcycle locks. David is one of Able’s GSA Inspectors and Technicians. David is one of the employees expanding Able’s product line to include knives and camping gear, and is also a hobby blacksmith.